What Is an LP Gas Heater? Reliable and Professional Air Conditioner Company! When you want budget-friendly and dependable air conditioner services, call Green Tech Heating & Cooling, an air conditioner company located in Limon, CO. Our company has been providing air conditioner services to this area for several years, making sure they have the very best cooling. We don’t just offer AC services, we even offer our customers heating services. To receive exceptional heating and air conditioning services for your home or business, call our contractors at (720) 276-1403 to schedule an appointment! Green Tech Heating & Cooling is ready to help you ensure your air conditioner functions effectively! Air Conditioner Replacement and Installation For AC installation service or a replacement, just contact our heating and cooling technicians today. Air Conditioning Maintenance Need to ensure your AC is in the best shape? Get air conditioning upkeep through our heating and cooling company. Air Duct Sealing, Repair & Installation Want air duct services? Our company offers installation, sealing, and repair services. Central Air Conditioning Repair We are the HVAC company to call when you need central AC repair. Emergency Air Conditioner Repair Have an crisis with your air conditioner? Feel free to contact our technicians now for emergency repair service. Indoor Air Quality An excellent way to get greater indoor air quality is by having our technicians install filters, purifiers, and humidifiers in your house. We Offer Heating Repair and Replacement. Because the winters can get very cold, if you have issues with your heater, you will need to get expert repairs. Green Tech Heating & Cooling will assist clients who really need superior repairs for their heating. No matter if you own an electric furnace or central heating system, our contractors are able to repair any kind of heating unit that is broken. There will be times when repairs just won’t cut it, in that case we can offer heating replacement service. If you are wanting to schedule an appointment for heating system services, contact our heating and air conditioner company in Limon, CO at (720) 276-1403. Boiler Repair & Replacement When you want boiler repair or replacement service, please call Green Tech Heating & Cooling to make an appointment. Central Heating Repair Have a central heater? We are able to deliver budget-friendly and valuable repairs. Electric Furnace Repair & Replacement Acquire repair service or a complete replacement for your electric furnace if you contact our HVAC technicians now. Electric Heat System Repair If your electric heating unit is on the fritz, you can always turn to us for repairs. Gas Furnace Repair and Replacement Get in contact with our HVAC company when you should need repair service or replacement service for your gas furnace. Heating Maintenance Heating maintenance not only prevents repair service, it is able to lengthen the shelf life of your heating system. Get Expert Commercial HVAC Services Today! If you are a commercial property owner considering air conditioning and heating services, we can assist you! 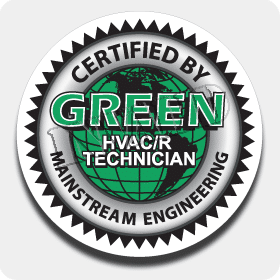 Regardless if you require repairs for your boiler or for your AC, Green Tech Heating & Cooling is the commercial heating and air conditioner company in Limon, CO you are able to depend on. We want to ensure you have no loss of efficiency and that your employees are relaxed as possible, so call our contractors at (720) 276-1403 if you need heating or AC services for your commercial heating or cooling system. Commercial Air Conditioner Repair Our commercial heating and cooling contractors can supply you with knowledgeable air conditioner services. Commercial Boiler Repair Get professional and cost-effective boiler repair today if you contact our commercial HVAC contractors. Commercial Boiler, AC & Furnace Service We don’t just provide repair service for your air conditioning, boiler, and furnace, we can also clean and offer upkeep. Commercial Furnace Repair For professional commercial furnace repair service, you are able to trust that our HVAC company offers the very best service. Commercial Rooftop HVAC Repair Have your commercial rooftop HVAC unit repaired right away when you call us! 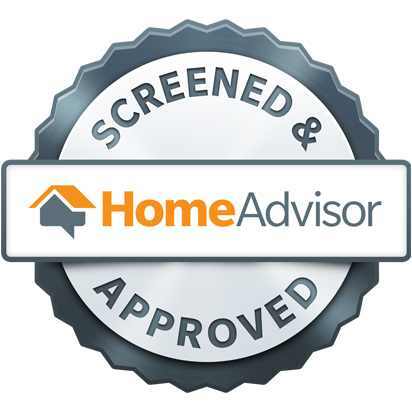 Do You Want a Free HVAC Inspection? We'll be contacting you to schedule your inspection within the next 24 hours. This offer is only available within, and 30 miles surrounding, the City of Denver Colorado. Other eligibility factors do apply. If you have a Heating Emergency Then Call Us at (720)276-1403 or Click Here For More Information!